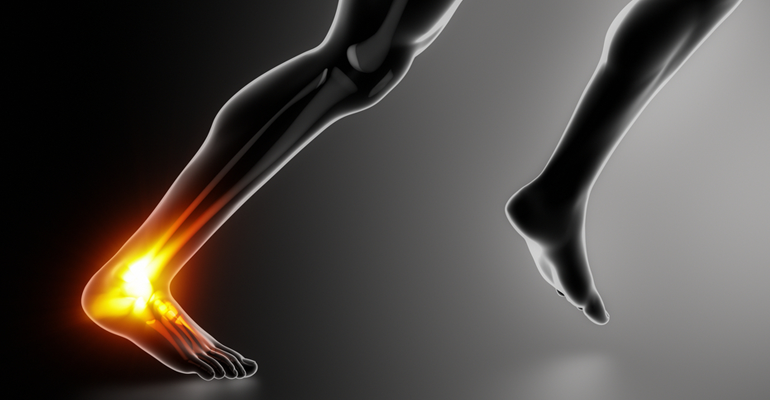 What is Achilles Tendonitis / Tendonopathy? Achilles tendonitis/tendonopathy is a condition that causes pain, swelling and stiffness of the Achilles tendon that joins your heel bone to your calf muscles. It is thought to be caused by repeated tiny injuries to the Achilles tendon. These may occur for a number of reasons, including overuse of the tendon – for example, in runners. Treatment includes rest, ice packs, painkillers, and special exercises to help to stretch and strengthen the Achilles tendon. For most people, the symptoms of Achilles tendinopathy usually clear within 3-6 months of starting treatment but can take longer in chronic cases. Lack of flexibility in the lower legs. Lack of strength and conditioning in the lower legs. Over use or over training. Other factors associated with Achilles Tendonitis are recent changes in footwear, and changes in exercise training schedules. Often long distance runners will have symptoms of Achilles Tendonitis after increasing their mileage or increasing the amount of hill training they are doing. As people age, tendons, like other tissues in the body, become less flexible, more rigid, and more susceptible to injury. Therefore, middle-age recreational athletes are most susceptible to Achilles Tendonitis. There are many different causes of pain at the back of the heel including haglund’s deformity, posterior calcaneal spurs, achilles tendon tear, stress fracture of the calcaneus and radicular pain from your lower back. It is important to be assessed as soon as you experience any discomfort by our Podiatry team, so that a diagnosis and appropriate treatment plan can be implemented. Our experienced Podiatry team will assess your feet and achilles tendon in a new patient assessment or review appointment. Our team will take a full history of your symptoms and provide you with a structured rehabilitation programme and management plan. Imaging such as an MRI scan or Ultrasound examination may need to be requested. Your specific management plan may include Orthotics and a full Gait analysis / Biomechanical examination. You will also be given information to log onto our Patient Resource center where you can find our video library of your specific rehabilitation programme, which your podiatrist will discuss with you during your consultation.